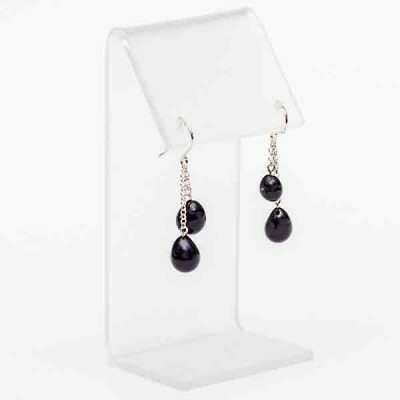 “Droplet Earrings in Black” by Alicia Niles. These earrings are created using flameworked glass beads and sterling silver chain. The french hook ear wires are also sterling silver. Each earring contains two beads each. They measure 1.75″ long.